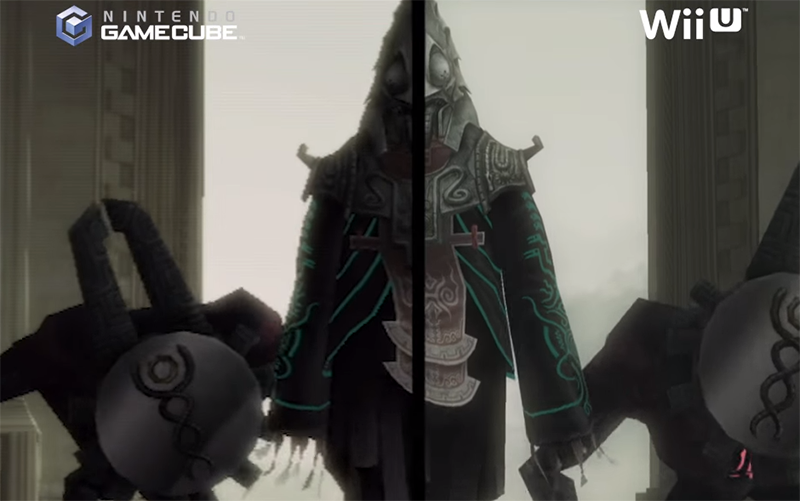 With the high definition remaster of The Legend of Zelda: Twilight Princess less than two weeks away, Nintendo UK releases a final comparison between Gamecube and Wii U before the jaggy lines go all blurry in our heads. One good thing about Nintendo’s baby-stepping graphics hardware upgrades over the past few consoles is that HD remasters aren’t jarringly different than the originals. Comparing March 4's release with shots from the Gamecube original in the video below, half the time I prefer the original. I love seeing the jaggies disappear, but those “enhanced” lighting effects cast a haze over everything I don’t like at all. Of course it won’t matter much once I get a few hours in with the new version. Soon it’ll overwrite the Twilight Princess memories in my head, and when I think of the original game, the new one is what I’ll see.